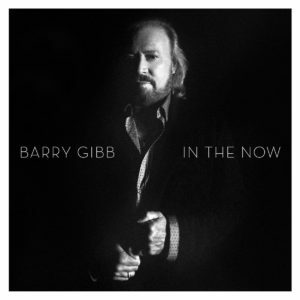 Few voices in pop music are as distinct as Barry Gibb’s, but even fewer have cemented the momentous place in history that he has curated over the last 50 years. Following the untimely passing of his brothers Maurice and Robin in 2003 and 2012, respectively, Barry is now the lone Bee Gees member still standing. With In The Now, the acclaimed singer-songwriter is showing no signs of slowing down, calling in his two oldest sons to help bring his first solo album in 32 years to life. An album that rests comfortably in the pop arena of yesteryear, yet still manages to sound refreshingly modern, there is a quiet confidence driving In The Now. While Gibb’s distinctive falsetto helps add colour to tracks like “Grand Illusion” and “Star Crossed Lovers,” he shows a playful side on “Blowin’ A Fuse.” Two of the album’s best moments arrive on ballads “Meaning Of The World” and the poignant “End Of The Rainbow,” the seeds of the latter song having been planted just shortly before Robin’s passing. Given the sheer beauty that shines throughout In The Now, one can only hope that Gibb doesn’t keep us waiting another three decades to release a follow-up effort.